Us — The Tumbleweed Art Co.
What is this gallery thing and who started it? 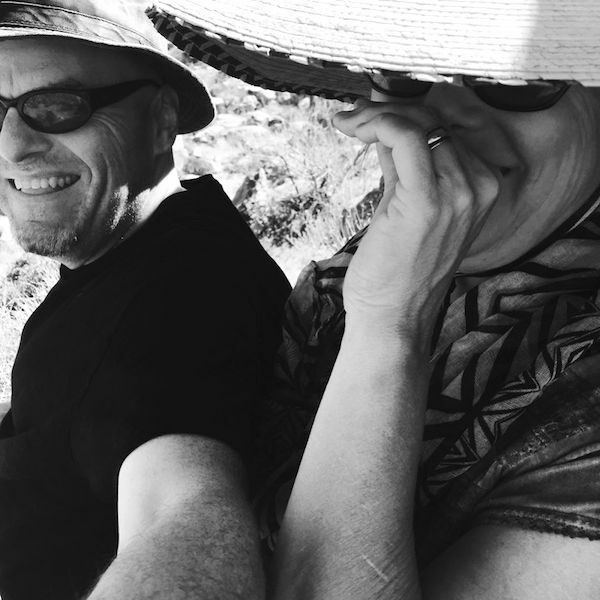 The Tumbleweed Art Co. is us: artist Kat Green and illustrator/photographer/RV-driving husband Bill, making our way here in Joshua Tree. What started out as a crazy idea to feature small art works by local, regional and national artists on the road became a reality after we fell in love with a vintage '72 Winnebago Chieftain we saw on Craigslist. Rough & tumble just like us, it was coming home with us one way or the other. The RV is customizable and ready to roll out for any event from Palm Springs to the Morongo Valley Basin. Hit us up if you want to know more or work on a show together.